4:00 pm – A Coffee House discussion exploring grace, truth, and contemporary moral issues. A faculty panel from across several academic disciplines will participate in this student-focused interactive session. 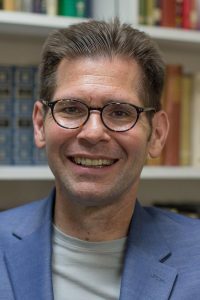 DR. CHRIS BOUNDS serves as Scholar-in-Residence and Professor of Wesleyan Studies and department chair for the Christian Studies and Philosophy department as Asbury University. He received his PhD and MPhil degrees at Drew University and his MDiv from Asbury Theological Seminary. He is an Asbury University alum, graduating with his BA degree in 1988, and is ordained in the United Methodist Church. He and his wife, Tamara, have two children in college, Maris and Morgan. He has published articles in popular and scholarly venues, including Aldersgate Papers; Asbury Theological Journal; Catalyst; East-West Church and Ministry Report;Expository Times; Good News Magazine; Religious Studies Review; Studia Patristica; Wesleyan Life; The Wesleyan Theological Journal; and Wesley and Methodist Studies. He has also contributed chapters or articles to popular and academic books, including Creation Care; Dictionary of Everyday Theology and Culture; Encyclopedia of Christian Education; Encyclopedia of Christianity in the United States; Leadership the Wesleyan Way; Recovering the Wesleyan Social Witness; ReThinking Wesleyan Theology; Straight Talk; Scholars Coming to Faith; and Treasure the Word. Chris has also co-authored three books: Holiness: The Power to Transform You, Your Church, and Your World; Selecting Worship Songs: A Guide for Leaders; and Unholiness: Overcoming the Forces that Attack Your Soul. Dr. Bounds serves as a Research Fellow with the Australasian Centre for Wesleyan Research; the Manchester Wesley Research Centre Board of Directors; The One Mission Society Board of Trustees; and The Francis Asbury Society Board of Directors. DR. RANDY MADDOX is the William Kellon Quick Professor of Wesleyan and Methodist Studies at the Divinity School, Duke University. His scholarly interest focuses on the theology of John and Charles Wesley and theological developments in the later Methodist/Wesleyan tradition. In addition to numerous articles he is author of Responsible Grace: John Wesley’s Practical Theology, a contributor to Wesley and the Quadrilateral, and editor of Aldersgate Reconsidered, Rethinking Wesley’s Theology for Contemporary Methodism, The Cambridge Companion to John Wesley, and Volume 12 of The Bicentennial Edition of the Works of John Wesley. Dr. Maddox also headed the project making all of the verse of Charles Wesley available in an online edition at the website for the Center for Studies in the Wesleyan Tradition at DDS. Dr. Maddox holds the B.A. degree from Northwest Nazarene College, the M.Div. degree from Nazarene Theological Seminary, and a Ph.D. in theological studies from Emory University. He is an ordained elder in the Dakotas Conference of The United Methodist Church. He is currently Institute Secretary of the Oxford Institute of Methodist Theological Studies, and General Editor of the John Wesley Works Editorial Project. 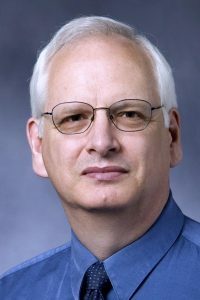 He has also served as President of the Wesleyan Theological Society, Co-chair of the Wesley Studies Group of the American Academy of Religion, and General Editor of the Kingswood Books Imprint of Abingdon Press. DR. VIRGINIA TODD HOLEMAN (Toddy) is a Professor of Counseling at Asbury Theological Seminary since 1995. 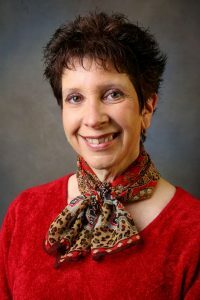 She received a Ph.D. at Kent State University, and at Asbury Seminary, she has served as associate dean of the School of Theology (1999-2004); acting dean (2004-2005); and is presently the chair of the Counseling and Pastoral Care Department. She was the 2003-2004 recipient of the seminary’s Excellence in Distance Learning Teaching Award. Dr. Holeman is a licensed professional clinical counselor and a licensed marriage and family therapist in Kentucky. She is the past president of the Kentucky Association for Marriage and Family Therapy. Dr. Holeman was also a member of the Wabash Center Teaching and Learning Colloquy for Mid-Career Theological Faculty (2007-2008) and a Wabash Workshop Teaching Scholar (1998).She has published several books, including her most recent, Theology for Better Counseling: Trinitarian Reflections for Healing and Formation(IVP Academic, 2012), which was selected as a CAPS Book (Christian Association for Psychological Studies). Dr. Holeman’s research interests include interpersonal forgiveness, repentance and reconciliation, counselor education and supervision, and integration of psychology and counseling.